Video clip synopsis – In 1819 the life of the working class in newly-industrialised England is harsher than the life and opportunities open to the children of convicts in the colony of NSW. Broadband MP4 convictgulag_bb.mp4 (6.5MB), suitable for iPods and computer downloads. NSW 1819 – convict gulag or place of opportunity? is an excerpt from the documentary Rites of Passage the second episode of the two-part series entitled Rogue Nation, produced in 2009. Lachlan Macquarie (governor 1810-1821) is the governor who “goes native”. He was the man in power who went a large way in inventing the idea of Australia as a country which existed for convicts to have another chance to make good in life, and the convicts’ “native born” Australian children, and subsequent generations. Meanwhile Earl Bathurst and his Colonial Office not surprisingly decided that this was pure madness. Australia for the convicts and their children? Australia, from their point of view, is a colony of Britain, a place of salutary terror to scare would-be criminals into virtue, and a place (after the war with Napoleon finished in 1815 and a whole army was disbanded and given nothing to live on) to dump surplus population. It’s all getting a bit too lax down there, too free and easy. For goodness sake, ex-cons are being made magistrates! And invited to the Governor’s table for dinner! Had the place gone completely crazy? With Governor Darling (1825-1831) Britain again tries toughness. Ex-con’s were no longer to be so encouraged – instead it will be new free arrivals with plenty of capital. There would be no more convicts earning money on the side, no more handing out of Tickets-of-leave to prisoners fresh off the boat. Neither would they be any longer given land to farm when their time expired. But after some wrangling, ex-convict legal rights remained – but then again, they had to, they owned over half the wealth of the colony. Meanwhile, a young William Wentworth was in London, and outraged at being “outed” as a child of a convicted criminal – even if the crime was a rather dashing and romantic one – highwayman. A “currency lad”, part of the first generation of native-born colonials, he took up the cudgels for a lifetime of retaliation. Wentworth invented himself as a patriot for the newly imagined country, “Australia”. The ex-convicts and their children feel this country to be theirs, feel that they belong here and won’t go back in a way the free arrivals, the “Exclusive” class, simply do not. Wentworth will be one of the first to tap into this widespread feeling, and express it in his newspaper, The Australian as he fights his personal and political battles. Students can work individually, in small groups, and as a class to investigate, respond to and discuss the questions and points that follow. What impression does the opening of this film clip give about life in England at this time? What can you see? Look carefully at the opening scenes again. Freeze some of the frames and examine details in the artwork carefully. What information about people’s lives and work is revealed in these images? What does narrator say life is like for many people living in England at this time? From what you have seen so far, what do you think he means when he says ‘millions of people are suffering from lives of poverty, exploitation and ignorance’? This is the early years of the Industrial Revolution in England. 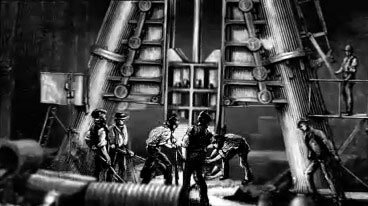 Find out more about the Industrial revolution. Why does the narrator refer to it as ‘the modern age? What else can you research and find out about this time in world history? Life for poor children was often very hard in Britain at this time. What can you find out this? What sort of jobs did children do? What were the conditions like for them? Why did children have to work? Create a written or multimedia presentation showing what you have found out about people’s lives in Britain during this period. How would you describe these people’s lives as portrayed here through both the narration and the vision? Research images of early colonial life and compare them to the images presented of life in England at the same time. What does the narrator mean when he describes the physical and social differences between these colonial children and their parents? Who are these children’s parents and why might this be important? Who is the character Mr John Thomas Bigge and what has he been sent to do in the colony of New South Wales? Mr Bigge says that ‘these children do not seem to know their place’. What do you think he means by this? Look for evidence in the film clip to support your answer. What does this tell the audience about Mr Bigge? What do you think he believes their ‘place’ is? Mr Bigge’s opinion of the youth is also shared by the young man on the horse who calls them ‘bloody convicts’. Are these boys actually convicts? Why are they called convicts then? What does this tell us about the way convicts are viewed in NSW? Why do you think the filmmakers have the character of Mr Bigge say that the youth in New South Wales have developed a distinctive speaking accent? Why do you think a new English accent is developing here in NSW? What this new accent might mean for the people in the colony. Is there still an Australian accent? Do you think children should be punished for the crimes of their parents? Mr Bigge and this man represent a group in the colony called the ‘Exclusives. What do the exclusives stand for and what do they want? Why do you think Mr Bigge and the Exclusives think like this? Why does narrator come back on screen at the end of this clip? What important information does he give the audience in this final shot? The State Library of NSW has an online catalogue containing records of the manuscripts, oral history and pictures collections of the Mitchell Library, Sir William Dixson Library and Dixson Galleries. Go to “Convict resources” for more information on what life was like for convicts in Australia. For a collection of paintings and drawings showing what life was like in the colony of NSW around this period, go to the online album which includes a collection of views of the early days in the colony.